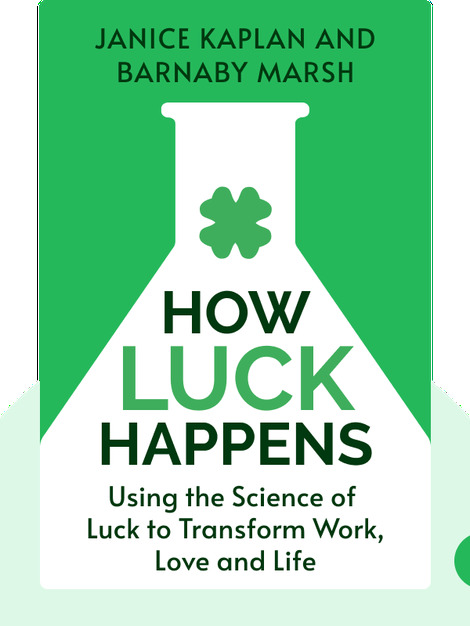 How Luck Happens (2018) debunks the myth that luck is something we have zero control over, revealing that we certainly can influence the level of luckiness in our lives. 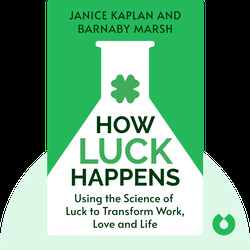 Packed with examples and practical advice, this book shows how luck can be improved in the workplace as well as the dating scene. Janice Kaplan is a magazine editor, TV producer, writer and journalist. She has written 13 books, including the New York Times bestseller, The Gratitude Diaries. Dr. Barnaby Marsh is an academic and expert on risk-taking.